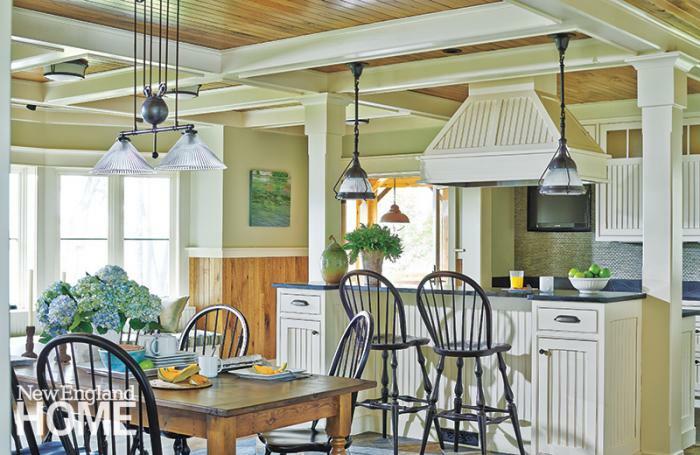 We are excited that one of our kitchens has recently been featured in New England Home magazine. The house was built in South Hero by Red House Design/Build. This kitchen, perfect for the design of the house, features an open layout to maximize views of the lake, with beadboard panels and a custom hood surround above the working island. Read the whole article at: New England Home: Peak of Perfection.